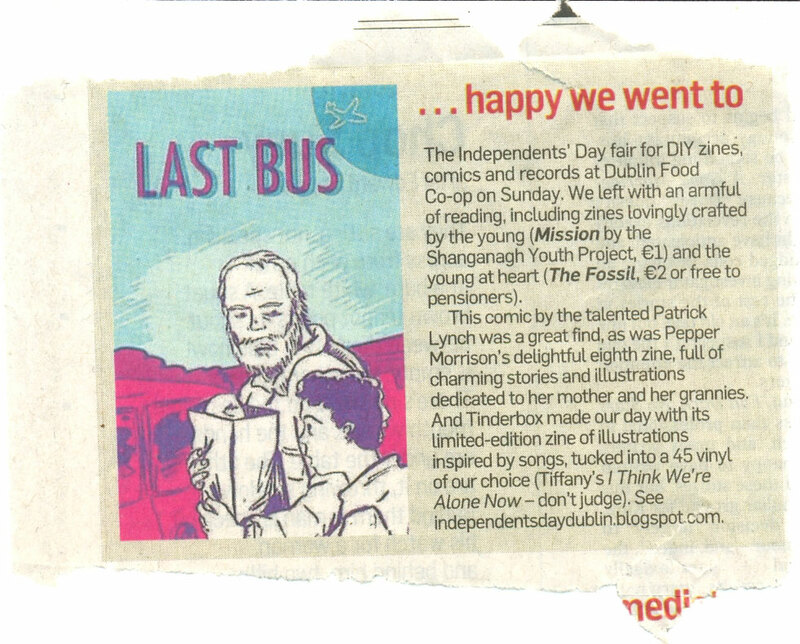 Last Bus #2 got a nice mention in last weeks Irish Times as a part of them big-upping Independents Day. Buy it here. I’m skint and I need the 30c profit each online sale makes. Oh yeah, thanks to TinderBox Network for the scan.